Scalar measurements have only have a magnitude (no direction). 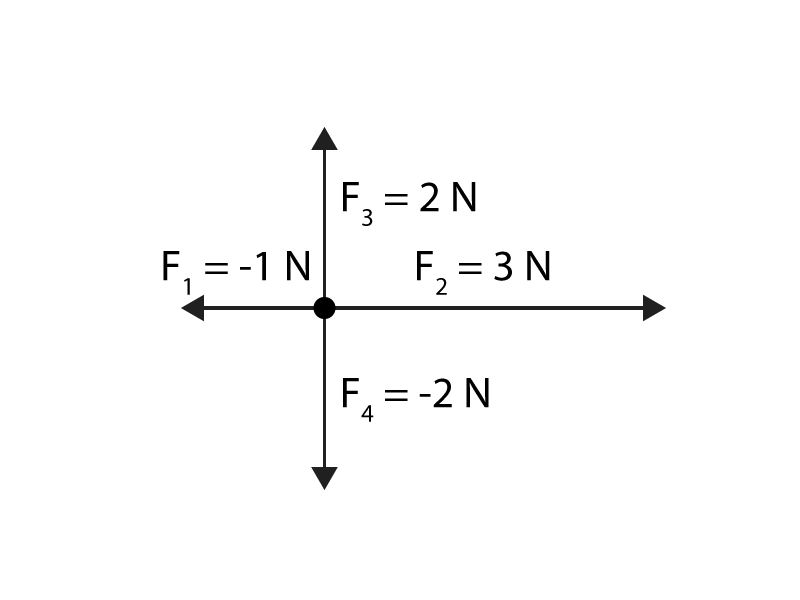 Vectors have both magnitude and direction. For example 45 meters West is a vector quantity. Scalar quantities do not have direction, and consist only of a magnitude. Vector quantities have both direction and magnitude. 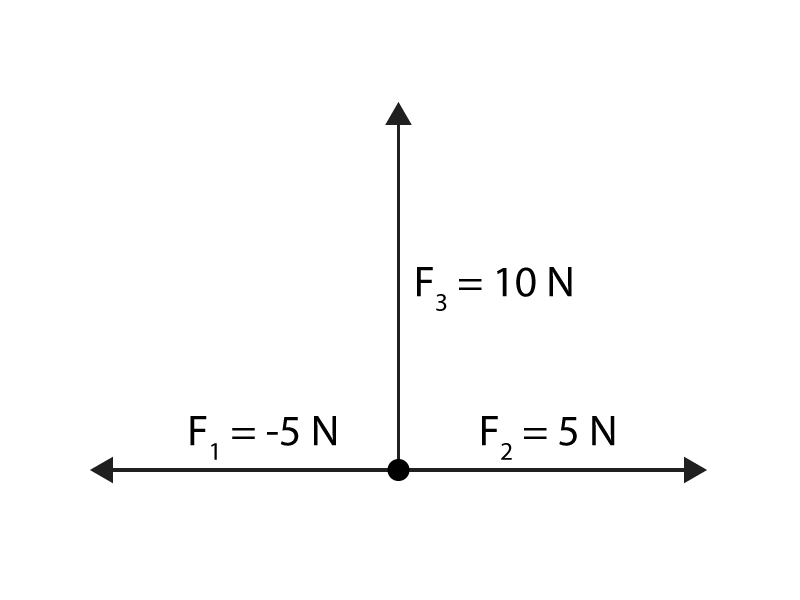 The three vectors are velocity, displacement, position, and acceleration. (Force is another vector, not shown here). The circumference is the distance: multiply by 10 to get the total distance. Instantaneous speed is the speed at a precise moment in time. Since the average speed is an average that can result from many different instantaneous speeds, then the instantaneous speed can be a vary wide range of values lower or higher than the average speed calculated. For example if you were to walk most of the distance to some place and sprint the last 10 meters, then the average speed would likely be much lower than the instant you were sprinting the fastest speed. Distance is the total length (7,180m + 7,180m), while displacement is the change in position (+7,180m - 7,180m). Since the runner returns to the starting position, the change in position is zero. Average Velocity is a change in position divided by time, and depends on the total displacement, rather than the distance. If the change in position equals zero, then the average velocity also equals zero. This is non-uniform motion because there is acceleration. A hockey puck sliding along a level, frictionless surface. A soccer ball rolling on the ground, coming to a stop. A car on the highway travelling at a steady 100 km/hr. A book at rest on a table. Remember that acceleration is non-uniform motion, so the soccer ball has non-uniform motion. Acceleration can be zero at rest or in constant motion. For example if a jogger runs at a constant 9 km/hr, then acceleration = 0. Positive velocity, and negative acceleration. Zero velocity, and negative acceleration. Negative velocity, and zero acceleration. Positive velocity, and positive acceleration. Since the motion is defined as being in the positive direction, then the velocity is positive. "Speeding up" in the positive direction indicates that there is positive acceleration. (If the object was "slowing down" in the positive direction, then the acceleration would be negative). A car traveling at 100 m/s decelerates at a rate of 4.0 m/s2. Mass does not matter, the both the bowling and golf balls will hit the ground at the same time. None of the kinematics equations have mass in them. They will fall with the same time have the same final velocity on impact at the ground. Gravity is the acceleration causing the motion of the two balls, and assuming this is on Earth, then it is the same for both balls. An object is thrown vertically upward. It has a speed of 12.2 m/s when it has reached half of its maximum height. This distance calculated will be one-half of the maximum height. The total time is 0.8 seconds. Position is a vector quantity. Displacement is a vector quantity. Velocity is a vector quantity that involves displacement. Velocity is zero where the y-axis indicates 0 m/s, which is located at 16 seconds. • The slope on a velocity-time graph represents the acceleration. 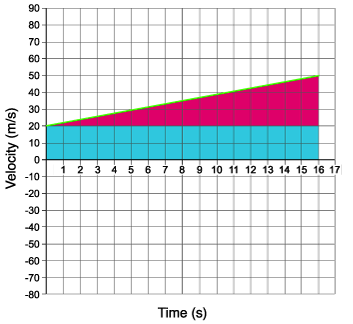 • The flat line in phase I indicates a slope of zero, so the acceleration is zero. • Phase II has a negative slope, which is negative acceleration. • Phase III has a positive slope, which is positive acceleration. • Phase IV is a curve, which is a non-uniform acceleration as it constantly changes and would have different instantaneous accelerations along the curve. Average acceleration is just from the first point at 0s to the last point at 12s. Change in velocity = area under acceleration time function. Drawing a sketch of the compass heading on a N-E-S-W system shows that the two headings overlap and are the same: [S 70˚ E] and [E 20˚ S]. Determine the resultant velocity of the velocities: 25 km/hr [N 50˚ E], 30 km/hr [S 40˚ E], and 60 km/hr [W]. Here I choose to define West as positive, and East as negative. Use the cosine law to solve for the resultant, which is the longest side length in the triangle in your sketch. Solve the following questions without using acceleration. Solve the following questions without using distance. Solve the following questions without using initial velocity. Solve the following questions without using final velocity. Solve the following questions without using time. Ignoring air resistance, the acceleration of falling objects (any masses) is the same because the acceleration (gravity) is the same, 9.81 m/s2 [Down] and the initial velocities are the same. As you can see in the equation below, the final velocities of the different masses would be the same (because initial velocity, acceleration, and displacement are the same) so the masses would hit the ground at the same time. In this case, g does not represent grams, rather it represents the unit of gravity, -9.81 m/s2. A baseball is thrown horizontally off a cliff and takes 4.0 s to reach the ground. It travels a distance of 25 m from the base of the cliff. The vertical component of the motion of the baseball has the same time as the whole projectile motion. So we will solve for height based on the purely vertical component of the motion. A box slides down an inclined plane from rest, with uniform acceleration and attains a speed of 20 m/s in 6.0 s. Assume no friction. An object at rest will remain at rest. The acceleration a of a body is parallel and directly proportional to the net force F acting on the body, is in the direction of the net force, and is inversely proportional to the mass m of the body. Commonly known as the law of inertia. Newton's first law in his own words, translated from Latin to English: "Law I: Every body persists in its state of being at rest or of moving uniformly straight forward, except insofar as it is compelled to change its state by force impressed." A body will continue in motion unless acted upon by a net force, the seatbelt providing the force holding the occupant back at the same motion as the car. In other words, the person's body would continue moving forward into harm without the force of the seatbelt holding it back. The force on the comet is greater than the force on the satellite. The force on the comet is less than the force on the satellite. The force on the comet is equal to the force on the satellite. The comet maintains constant speed because it is much more massive than the satellite. Newton's third law. The collision involves two different masses colliding in opposite directions. Even though the masses are different, the objects will experience equal and opposite forces. Constant motion (or zero motion) involves a balance of forces. For the skiier their normal force would balance with the force due to gravity (if we neglect friction). Newton's first law: an object stays at rest or in constant motion unless acted upon by a net force. Terminal velocity occurs when there is no net force because the force due to gravity is equal and opposite to the force of friction of the air (Newton's third law). The forces are opposite in direction, but are not equal magnitudes. Therefore there is a net force of -1 Newton West. Acceleration is directly proportional to force, and mass is directly proportional to acceleration. Acceleration is inversely proportional to force, and mass is directly proportional to acceleration. Acceleration is inversely proportional to force, and mass is inversely proportional to acceleration. Acceleration is directly proportional to force, and mass is inversely proportional to acceleration. Increasing acceleration (with constant mass) increases the force. Increasing mass (with constant force) decreases the acceleration. Draw the following free body diagrams. Show the force due to gravity (Fg) downwards and the force of tension (FT) in the apple stem upwards. The sled has a normal force (FN) downwards, the rope has a tension force (FT) in the rope due equal to the applied force (not shown). There is also the force due to gravity (Fg) downwards on the sled. Force due to gravity (Fg) downwards on the bricks and tension force (FT) up in the crane cable. A box of cookies sliding down an incline at a constant speed. The last car of a train being accelerated forwards by the car in front, with friction. A skier skidding to a stop in the middle of an inclined hill. Determine the net force in each of the horizontal and vertical directions in following examples. 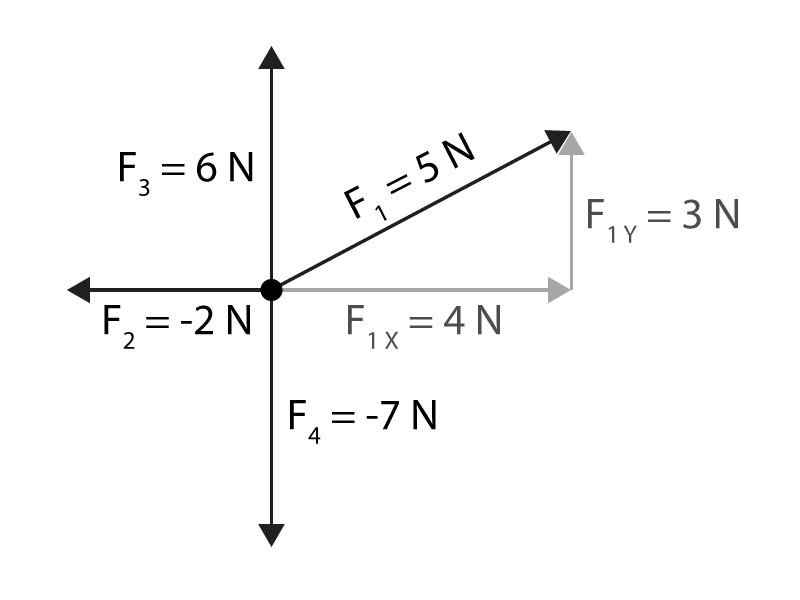 The equation Ff = Fµ × FN shows that the units of force cancel (Newton), leaving behind the unit-less coefficient of friction. A 400 kg motorcycle traveling at 10 m/s accelerates forward with an applied force of 2000 N.
Ff = 90 N Write an equation for net force in the horizontal direction. Given the net force, determine the acceleration (using Newton's 2nd law). Now using kinematics, calculate the time. Find amax The tension in the cable is based on the force due to gravity of the moose and the applied force of the acceleration of the helicopter. A 100 kg cube pallet of bricks in the back of a 2000 kg pickup truck. Accelerating from rest, the driver notices that the load of bricks starts to slide dangerously when the truck reaches an acceleration of ±0.37 m/s2. True, this is what allows the car to drive forward... force of static friction and direction of car acceleration are in the same direction. The forces of static and kinetic friction carry the box forward... same direction. Weight and the coefficient of static friction are constant. The force of friction increases. True, at the Earth's surface, it is approximated as roughly -9.81 m/s2. The units of gravitational field strength (g) are ms-1 or Nkg-1. Temperature is not a form of energy, but heat is. Radiation is the only form of energy that can travel through a vacuum (space without matter). What is the unit typically used for work? A scalar is a magnitude without a direction. Use the displacement in the same direction as the force. Work is conservative, meaning the magnitude does not depend on the path taken. Work = (Force) × Distance = (Mass × Gravity) × Distance. While there is a vertical force (Fg = mg), there is no displacement parallel to this force. The stone does not move, displacement = 0 Work is the energy applied by an applied force over a change in position. Work is zero when the displacement parallel to the force is zero. Work due to gravity on a hockey puck sliding with constant velocity across a frictionless surface. Work done on an object that experiences no forces. Work due to the normal force of a computer resting on the flat surface of a table. Work equals zero when the distance direction is not parallel to the force direction. Force of gravity is vertical while the distance travelled is horizontal, or the distance in the same direction is zero, so work is zero. Force equals zero, so work equals zero. Distance equals zero, so work equals zero. An apple is dropped from a height of 10 m. The maximum speed of the apple occurs when the height equals zero. Mechanical energy is constant the whole way because it is always a sum of gravitational potential and kinetic energies. A 200 g ball rolls 2.0 m/s off a table, which is 1.2 m above the ground. The maximum speed occurs at the ground, when total mechanical energy is 0% gravitational potential energy and 100% kinetic energy. A 10 kg box slides down an incline at a constant velocity from a height of 12 m. The coefficient of kinetic friction of the surface is 0.2 and the plane is inclined at 50˚ to the horizontal. Works is nonconservative, but it must use the distance, d of the face of the plane that the box slides on. A 500 kg roller-coaster car is perched 20.0 m above ground, at the start of a steep drop. The following three quantities are equal in magnitude. Speed at the bottom (v) calculated previously using conservation of energy. A roller-coaster goes around a loop in the track with a maximum height 50m above the ground, at a speed of 20 m/s. It then goes around a second loop at 30 m/s. The maximum height of the second loop is less than the first because the roller-coaster is moving faster due to the conservation of total mechanical energy. The total mechanical energy (TME) of loop 2 equals the total mechanical energy (TME) of loop 1. Determine the law of conservation of energy. An elevator weighs 8000 kg when fully loaded and must travel a height of 80 m from the ground to the top floor of a building. The company needs the elevator to make it to the top in 20 seconds. If the efficiency of the motor was 75%, then the power of the motor used should be 25% higher than the theoretical power calculated in the previous section. (In reality the chosen motor should be considerably more powerful than this). The following derivation is correct. Heat is the transfer of energy from a higher to lower temperature. Temperature is the measure of the average kinetic energy of molecules in a substance. 4) Convection through the egg if it's liquid, convection if it's solid. Specific heat capacity is different for all different substances. + q, in relation to the energy input into the system. Thermal equilibrium occurs when the temperatures are the same (average molecular kinetic energies are the same) and there is no net transfer of heat energy. Thermal energy depends on the size of the substance. For example, it is easy for a "cold" swimming pool to contain more thermal energy than a hot cup of tea. Besides size, the other factor that matters is the type of substance. 100 J of heat is added to a 25 g unknown block at 5.45˚C causing the block to heat to 10.00˚C. Determine the identity of the unknown sample. Since the tea and ice cubes reach the same temperature, the heat lost in the tea equals the heat gained in the ice cube. Let the total mass of ice cubes be 50n (where 'n' is the number of ice cubes, and each cube is 50g) Therefore (rounding up), a minimum of 21 ice cubes are needed. You need to know the main types of oscillations in waves. Longitudinal waves oscillate with amplitude parallel to the direction of travel. For a longitudinal wave, imagine a sound wave traveling horizontally. The air particles also oscillate horizontally. For a transverse wave, imagine a boat ('particle') stalled in the ocean with very large waves. The waves travel horizontally across the surface of the water, while the boat travels vertically. All the answer choices measure out one wavelength. Frequency is inversely proportional to period (s), while the SI unit hertz (Hz) is used in place of s-1. An object that oscillates many times per second with a short wavelength has a high frequency. Frequency and wavelength are inversely proportional, or reciprocals. 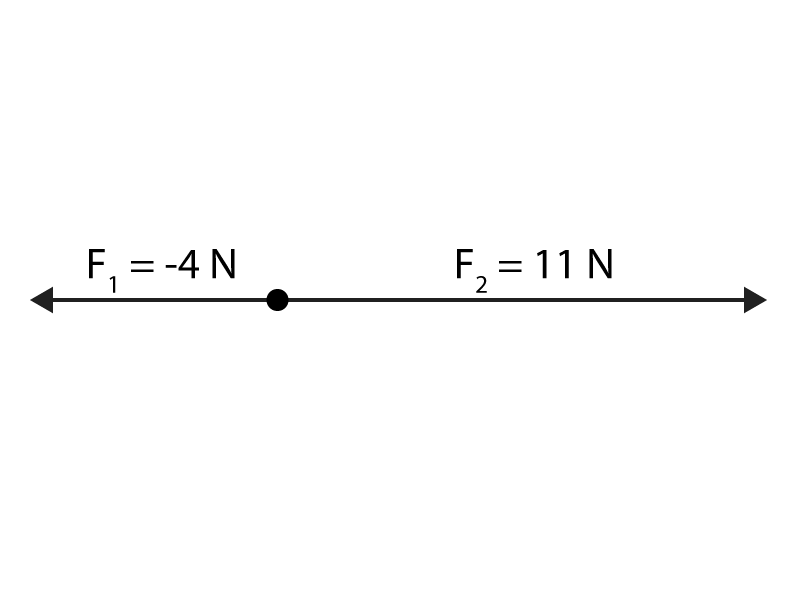 A pendulum begins oscillating at point A. The equilibrium is always located in the center of the oscillation. Maximum velocity always occurs at the equilibrium position. 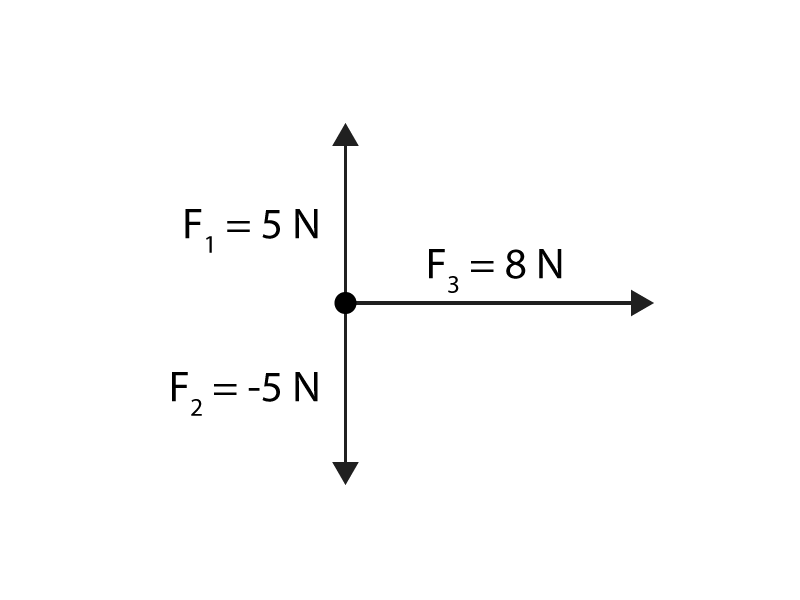 Maximum acceleration occurs at the two points of maximum displacement (or amplitude), where the pendulum is changing the direction vector. Many people think that frequency affects speed, but only wavelength affects the speed of a wave that is in existence. When waves travel from a slow to fast medium, part of the wave is reflected backwards from the medium boundary and is upright, or positive. When waves travel from a fast to slow medium, part of the wave is reflected backwards from the medium boundary and is inverted, or negative. (Actually, the positive and negative aspect depends on the incident orientation of the wave). When a wave enters a medium with a different density, some energy of the wave is directed backwards in the opposite direction of travel. Sound is a longitudinal wave. Longitudinal waves require matter (particles) to oscillate and propagate energy. The speed of sound is fastest in dense materials like iron. (Aside: the speed of sound in iron is approximately 17 times faster than in air). Note that the speed of light behaves opposite to sound; light slower in denser mediums (think air versus diamond). The equation for period of a pendulum (T), where l is length in meters, and g is gravity, in m/s2. Notice that mass and height are both not included in the equation for period of a pendulum, therefore mass and height do not have an effect the period of a pendulum. The only factors that affect the period of a pendulum are length and gravity. Rearrange, isolate, and solve for length, l.
Diffraction is the bending of a wave as it passes through a narrow opening or passes by an obstacle. Refraction is the bending of a wave as it enters a medium with a different density. Which of the following would result in destructive interference between two waves? When the troughs of two waves travelling in opposition directions meet. When the crest of a wave overlaps the crest of another wave travelling in the same direction. When the crest of a wave overlaps the trough of a wave traveling in the same, or opposite directions. For total destructive interference to occur between two waves, what must be the same? Resonance can occur at a separation distance, when objects are not in contact. (Note that: mechanical resonance must have the resonating object in contact with the driving force). For an object to resonate, a periodic driving force that has the same frequency as the natural frequency of an object must exist. A 450 Hz tuning fork is made to oscillate near the following objects. Which of the following will start to experience vibrations? A standing wave in a string oscillates with a speed of 1 m/s. Standing waves are the result of an interference pattern. Determine the distance between two adjacent nodes in a standing wave, in terms of wavelength, λ (lambda). The frequency in a standing wave on a string is 800 Hz. frequency, f is inversely proportional to length, L.
Closed pipes have nodes at the closed end and antinodes at the open end. Antinodes are located at open ends. Closed pipes have these resonant lengths. The table below shows the relationship between harmonic number and wavelength for closed pipes/tubes/columns. Second harmonics are found in open-end columns. You know that the speed of a sound wave depends on the temperature of the air. If the temperature is the same then the speed is the same. A wave in the ocean travels 15 m in 3.0 s and the distance between adjacent minimum points is 10 m.
20 s represents twice the distance; there-and-back. The barricade is 50 m from her. The 1st and 5th antinodes in a wave are 18 m apart. A total of 12 peaks pass through a point over the course of 4 seconds. Each adjacent antinode is ½λ. The frequency of pitch will go down and it will sound lower as the speed decreases. A note on a 80 cm guitar string is 250 Hz. Yes, you can reciprocate both sides of the equation. You also know that the power of the speaker system is constant. The intensity changes by a factor of ×10 when the decibels change by +10. 1000 = 103 = 10 × 10 × 10... The change is + 30 dB. Charged (positive or negative) atoms are called ions. Not necessarily. An object with a neutral charge might have a high number of positively charged particles within it, but with an equal number of negatively charged particles. Determine the charge remaining on the object, if any. The positively charged rod will attract the negative electrons into the object (positive charges in the ground). When the grounding is removed, the negative charges will be "trapped" in the object. When the rod is removed, since the grounding is still connected to the object, the charges redistribute evenly (neutral). Placing a charged rod in contact will charge the object. Placing a charged rod in contact will not charge the object when it is grounded. This is because the grounding can be considered as an infinite supply (or sink) of positive and negative charges, which will always make both the rod and the object uncharged (neutral) when connected and grounded. Electric field lines are always directed away from a positive charge and towards a negative charge. Coulomb's law is used to calculate the electric force between electrically charged particles. Coulomb's law states that the electric force is proportional to the product of the charges and inversely proportional to the square of the separation distance. The result is Fe decreases by a factor of ½. The charge on a proton is equal in magnitude to the charge on an electron, with an opposite sign. Find N We cannot determine the total number of protons, we can only say that there are 17 more protons than electrons in this charged object. For example, if there were 18 protons and 1 electron, the net charge would still be +2.72 × 10-18 C.
An object is charged with a total net of 100 electrons, given the elementary charge e = 1.6 × 10-19 C.
Current (i) is the flow of charges per unit of time. Alternating current is used in household wall outlets, and direct current is used in batteries. Conventional current is the flow of positive charges. The longer side of the cell is positive and the positive charges flow from the positive terminal, to the negative terminal. The sum of the energy gained in one circuit is equal to the sum of energy lost in one circuit. Voltage is also called electric potential. A cell increases electrical potential energy and a load uses electrical potential energy. Potential difference is the correct term for the unofficial term "voltage". Batteries store electric potential energy per unit of charge (electron). EMF is an outdated term. Voltage is an unofficial term. The most correct term to use in place of "voltage" and EMF is potential difference. This is almost true. However, voltage (electric potential) is electric potential energy, in Joules per unit of charge, q. See that voltage is J/C. So, voltage is electric potential (and not electric potential energy). Match the correct equations with the type of circuits below. A series circuit uses which equations? A parallel circuit uses which equations? Complete the following using the laws of Gustav R. Kirchhoff (1824 - 1887). The total increase in electric potential (voltage) is equal to the total decrease in electric potential across one path in a circuit. The current at the start of a junction is equal to the current at the end point of that junction. An induced electromotive force (emf) always gives rise to a current whose magnetic field opposes the original change in magnetic flux. Use Kirchhoff's law and Ohm's law (below) to solve the following circuits. Power is the rate of energy use per unit of time. A flow of 10 J of energy over a period of 4 seconds. 2 A current across a 2 V potential difference. 1 A current across a 3 Ω resistance. 4 V potential difference across an 8 Ω resistance. Magnetic field lines are not straight, nor are they parallel. Field lines curve in 3D space. Complete the following questions on the theories of magnets. This happens when a magnet is brought in close proximity to an even stronger magnet. The stronger magnet has a stronger magnetic field that dominates and aligns the dipole direction of the atoms in the weaker magnet. This reverses or switches the poles in the weaker magnet. Breaking the magnet in half conserves the magnetic dipole, it just divides the magnet in half and makes two separate magnets. For a certain material, a magnet can only be polarized up the point where all dipoles are aligned (in the same direction). There is a saturation point for every magnetic material where no more atomic dipoles can be aligned. (Changing the material or increasing the size of the magnet doesn't count). Kinetic molecular theory of the atoms in a magnet explains that the atomic dipoles experience internal forces that, in combination with the magnetic poles, can demagnetize the magnet over time. (Note that magnets can be stored in a way to maintain their charge). Determine the direction of the induced magnetic field at each point in some of the diagrams below. While it is the delocalized (free) electrons in a metal that carries a current, by convention the flow of positive charges in the opposite direction is used. A solenoid is a helical coil made of a conductive material, typically copper wire. A solenoid forms a magnetic field when current flows through the coils in an electrical circuit. Increasing the diameter of the coil (making a bigger coil) spreads the magnetic field lines apart, decreasing the density of the field lines, lowering the magnetic field strength. The right hand grip rule can be used for determining the direction of magnetic fields in a solenoid. Conventional current points into the page. Magnetic field is always directed from N to S, which in this case is to the left. Using the left hand rule for conventional current, the force is directed upwards. A coil experiences an induced current when the magnetic field passing through it varies in magnitude or direction. True. Current is produced when the magnet is moving through the wire coil, but not produced when the magnet is stationary. False. Moving the magnet with greater speed will induce more current. No speed (speed of zero) will induce no current. Moving a magnet through a solenoid creates a current. Determine the direction of the conventional current in the forward edge of the coil. Basically, the induced current will form in the direction that creates a magnetic field through the solenoid that repels the movement of the magnet. The energy required to push the magnet through the solenoid, against this repulsive force is inducing the energy that is "created" in the circuit. Get the correct current direction using the left hand grip rule (thumb = current, fingers = magnetic field) when the magnet moves towards. Get the correct current direction using the right hand grip rule (thumb = current, fingers = magnetic field) when the magnet moves away. The slip rings used in an AC generator maintain continual contact between the rotating loop and the rest of the circuit, causing an alternation in current direction. A DC generator setup uses a split-ring commutator to connect the loop to the rest of the circuit. This maintains the same direction of current in the circuit. The ratio of emf's in the circuits is equal to the ratio of the number of turns. p is primary, s is secondary. The secondary voltage is half the primary voltage. Therefore this is a step down transformer. A primary circuit in a step up transformer has a 120 V potential difference and 230 turns. V is the voltage, N is the number of turns.